Whilst the American craft beer market is reportedly showing signs of slowing, the UK market is still going strong. However, both have seen a surge in new entrants, which is putting pressure on craft breweries of all sizes. The massive increase in competition within both markets is making business growth tougher than it ever has been on both sides of the pond, but brings to light a new set of strategies that can help everyone in this new climate. Scaling a business is hard for everyone in this industry. Whether you’re a microbrewery looking to open its first taproom or a mid-sized brewery trying to grow its retail channel, making the leap to that next level is hard when profits are tight. Even the big players struggle with expansion without capital. Funding and investment have become increasingly attractive to craft beer businesses, in particular, crowdfunding - and rightly so. With such a strong fan base behind so many craft beers, breweries can tap into a loyal following of potential investors who are as passionate about boosting the brand as the brewers. There are pitfalls and challenges with all routes to funding that need to be navigated, as many can testify. But with the right approach, investment can take a sole trader from a small local position to a regional or national brewery within months. Getting beer onto the shelves has always been tough – especially for the lesser-known breweries. Fortunately, with the 18.8% market growth in craft beer, bars and shops are expanding their range to include more independent brews. With such a wide choice, however, brewers still need to jump through many hoops to get their beers in front of the buyers. At November 2017’s Craftwork Live event, Mitch Adams (Beer Buyer from Borough Wines) and Ben Lockwood (Beer Procurement Manager for Mitchells & Butlers) gave some great advice to London’s craft beer audience. Along with consistent quality, branding and shelf appeal, differentiation came up time and time again in the talks. The pubs, bars, and distributors want to know what makes a beer stand out from the rest – and they need to know that consumers will like it. Research by Mintel revealed that 47% of consumers are most likely to associate craft drinks with having a unique flavor. If growth is an objective for 2018, breweries need to spend time formulating their drinks and brand with distinct points of differentiation in this competitive marketplace. Selling tactics have changed too. Hard sales no longer work. Success will come from building relationships with buyers, knowing your positioning and sending good quality samples with prompt follow-up (which surprisingly, many don’t manage to do!). Controlling quality down the line isn’t easy once it’s at the bar or retail. The smaller breweries often don’t have the resource to monitor anything beyond cell counts. Sometimes date codes get missed; sometimes bar staff haven’t been educated on taste and don’t know how that beer should be stored, poured and sold. 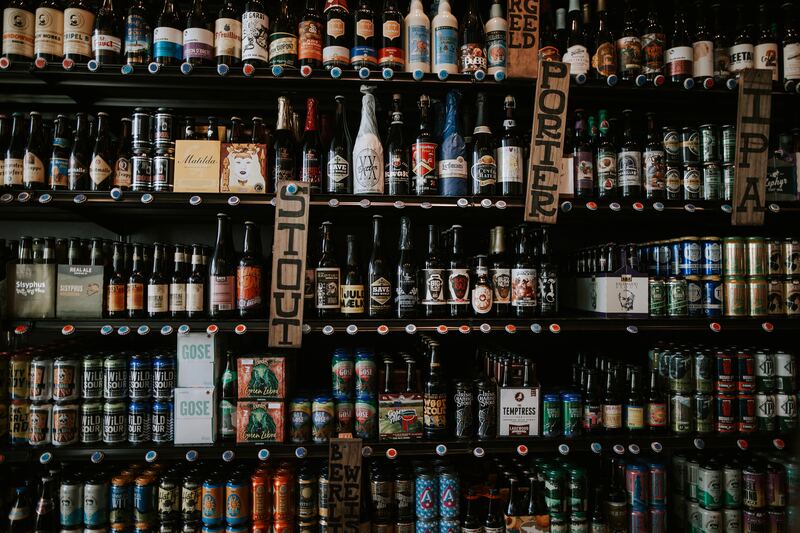 According to the research by Mintel on consumer attitudes towards craft beer, 42% perceive craft to have higher quality ingredients than other beer, whilst 41% believe craft beer has had more care and time taken in production with a higher level of human input. Education and quality control is essential for growth of both the individual brewer and the industry because, without it, a brand can be damaged before it’s even out of the gates. From beer festivals to social media, there’s a great deal that breweries can be doing to expand their market reach – but many simply don’t know where to start or don’t see it as a priority. Whilst digital marketing may not have featured too heavily in the early days of craft, you’d be hard-pressed to find anyone who doesn’t agree that websites, ecommerce, and social media are now major influences in a brewery’s market penetration, growth, and success. As a digital agency working with craft beer businesses, we recently carried out a craft beer consumer survey which revealed that 1 in 2 consumers search online for pubs that stock a specific craft beer, and have digitally shared a picture of craft beer with their online network. A third of craft drinkers are influenced by a design of a brewery’s website and visit the sites to find out more about the brand. This is supported by other studies that have found 74% of craft beer drinkers research on mobile first before buying. In this highly competitive marketplace where many smaller brewers are now struggling to get into the beer festivals, digital marketing allows the brands to take matters into their own hands and engage with consumers directly. As the buyers reported at our recent Craftwork Live event, they too look to a brand’s social exposure and following to determine if there’s worth in stocking a particular beer. Digital and social marketing have now become a necessity for growth. When Sambrook’s opened, there were no hands-on brewers available to recruit (this was before craft beer really took off) so they decided to invest in the talent they had and took their cask washer right through the ranks to Head Brewer. They are now a great example of a brewer who has taken the time to create a culture that brings out the passion of their people. A brewery’s team is its brand and if the people don’t believe in the brand, the company will ultimately suffer. A beer brand needs to tell a story about its people, its history, and its culture – and its people need to have ownership of that story with a strong passion for everything that company does. From the owners and brewers to the salespeople, drivers, cleaners and admin staff, every single member of staff is part of the story that attracts the interest of buyers and drinkers alike. You can find out more about building a talented team and culture in craft beer at the next Craftwork Live event. Hallway is a growth-driven agency for ambitious businesses - we offer peak-performing, Ever-Evolving websites and online marketing that deliver stellar results.